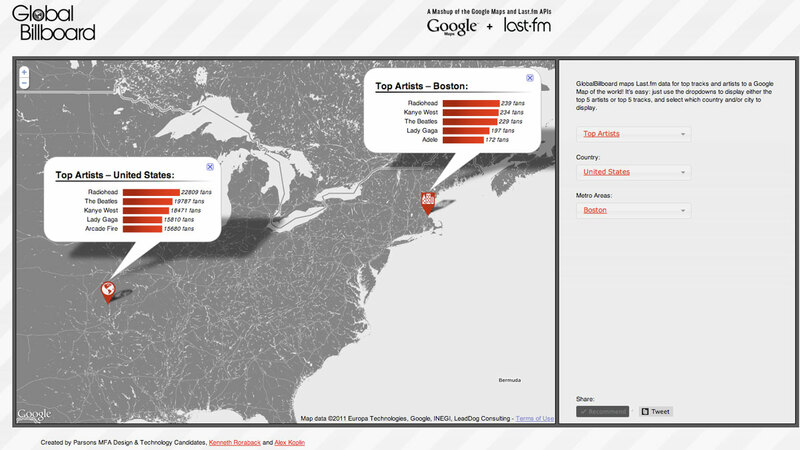 Combine Google Maps and Last.fm APIs to visualize the most popular songs and musicians across the world. Global Billboard is a mashup of Google Maps and the Last.fm that charts the top five tracks and artists in (nearly) every country and over 300 metro areas around the world. Created in collaboration with fellow MFA Design and Technology student Alex Koplin. Multiple info windows can be opened at once, allowing users to compare countries and/or cities. 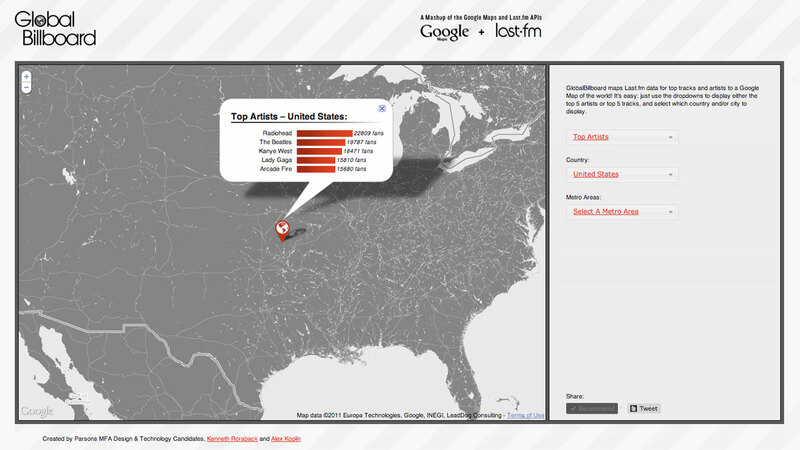 If a user selects a country both under ‘top tracks’ and ‘top artists,’ the two will stack in a single info window. 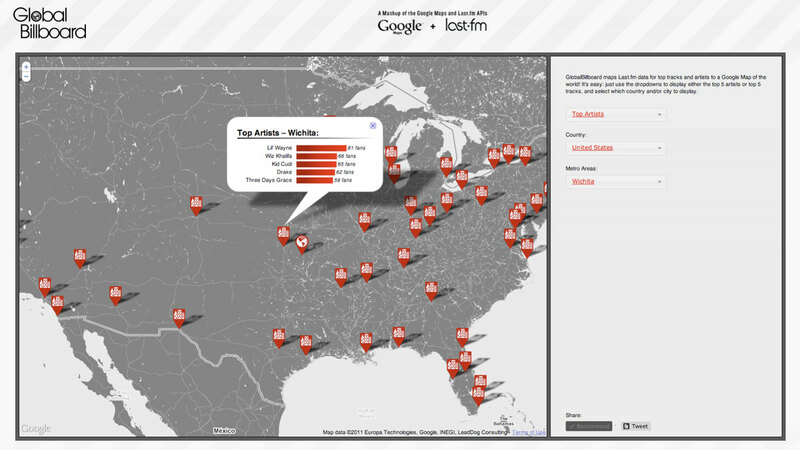 Due to the popularity of the last.fm in the United States, there are 46 metro areas listed on the last.fm within the country! Shown here is Wichita, 70 miles south of the town where I grew up.